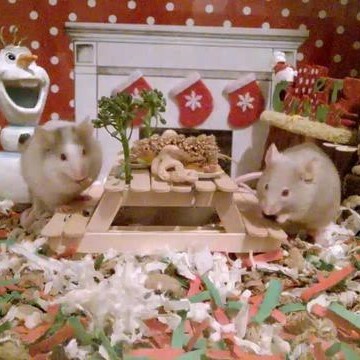 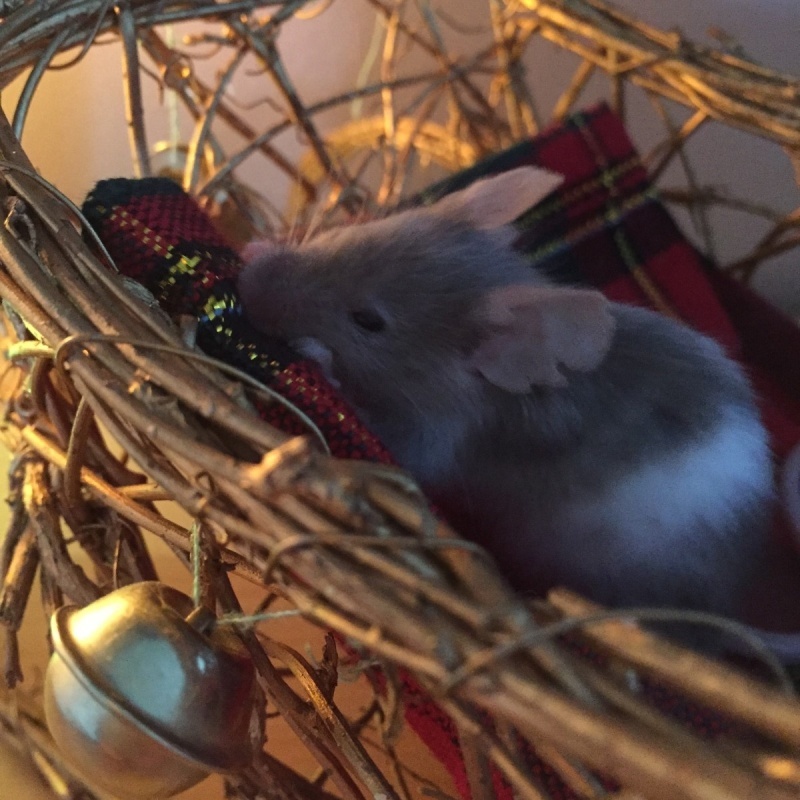 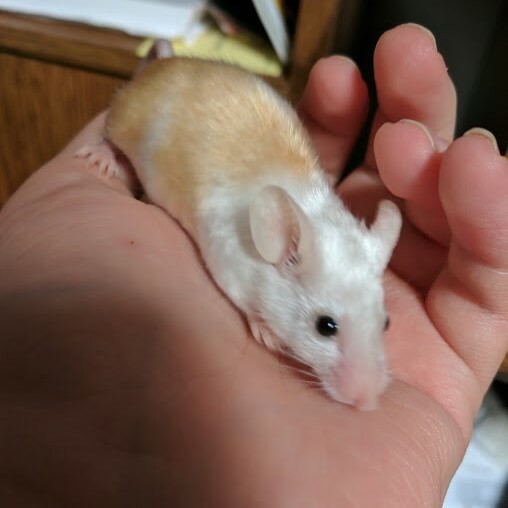 Rescue says i have to house male mouse with females? 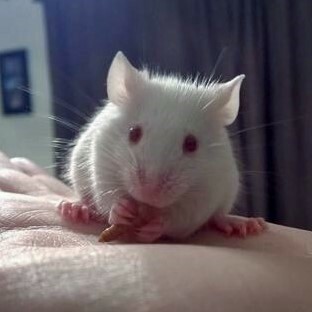 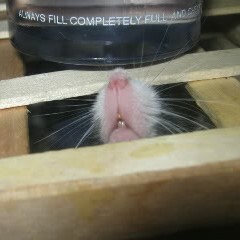 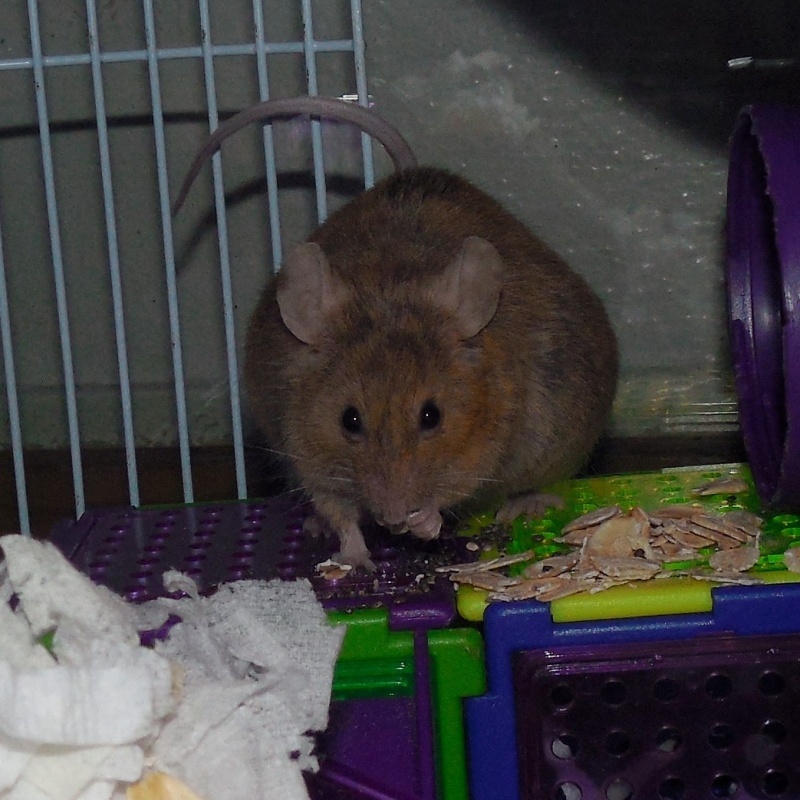 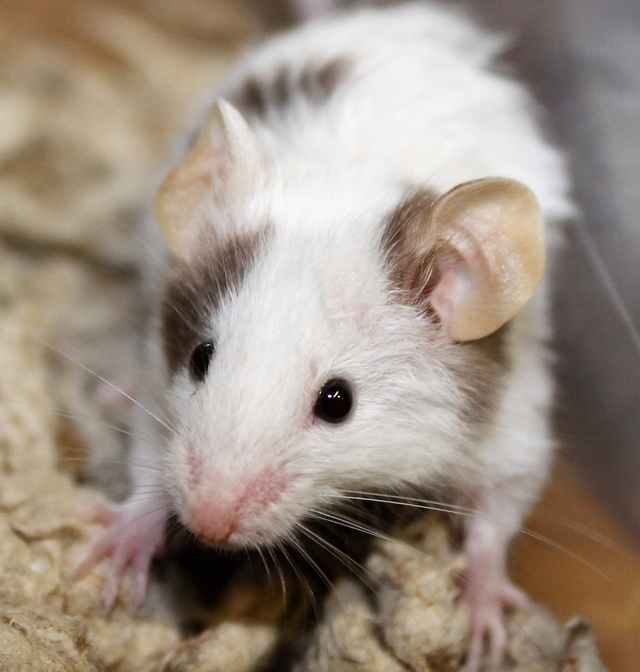 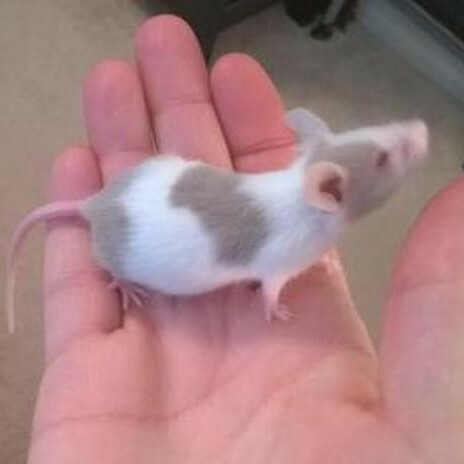 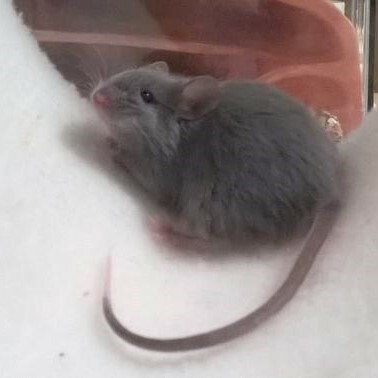 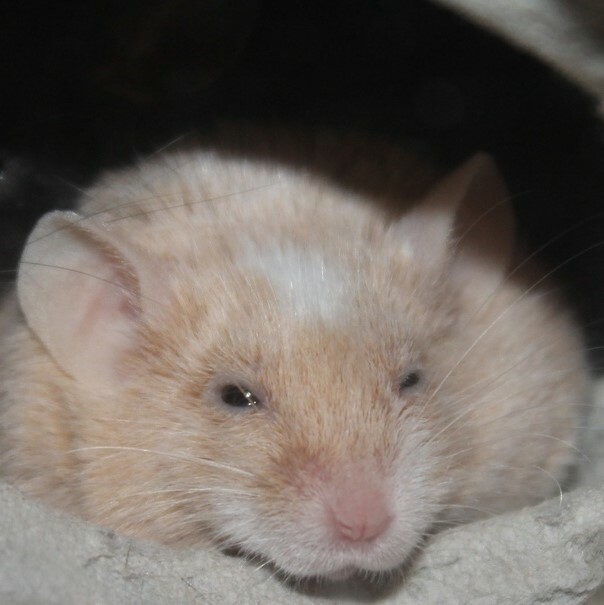 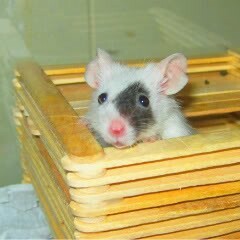 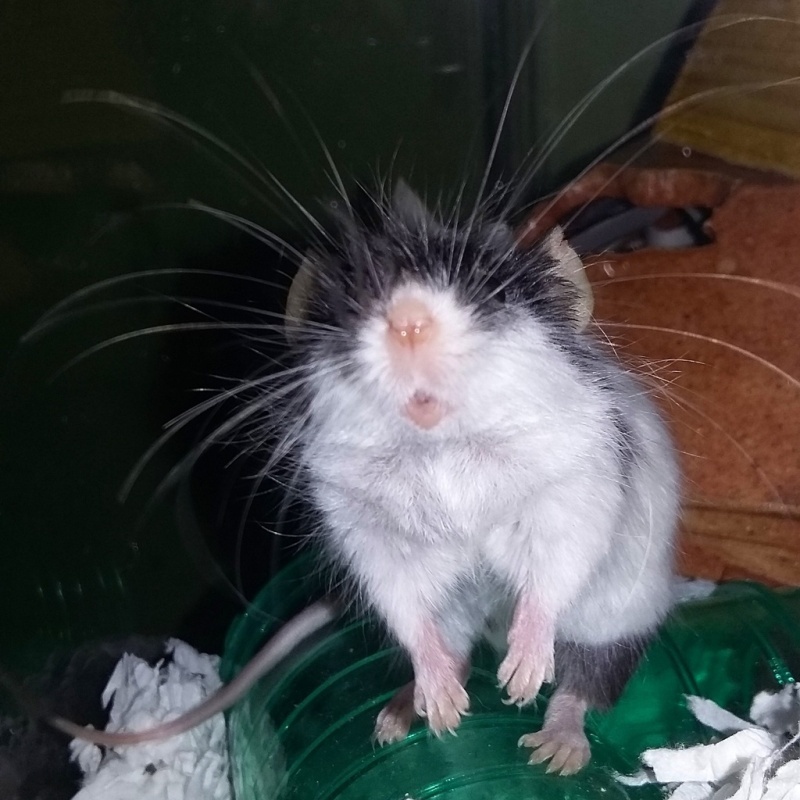 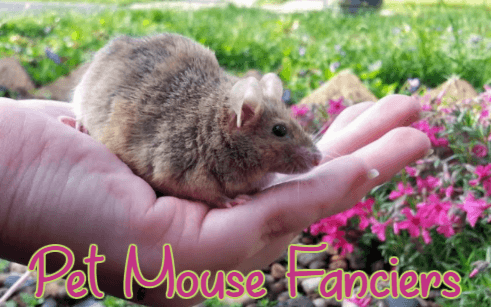 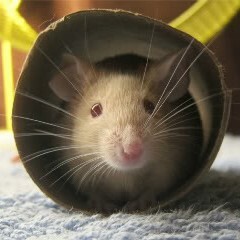 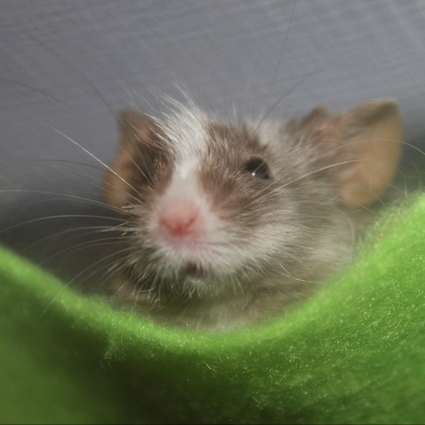 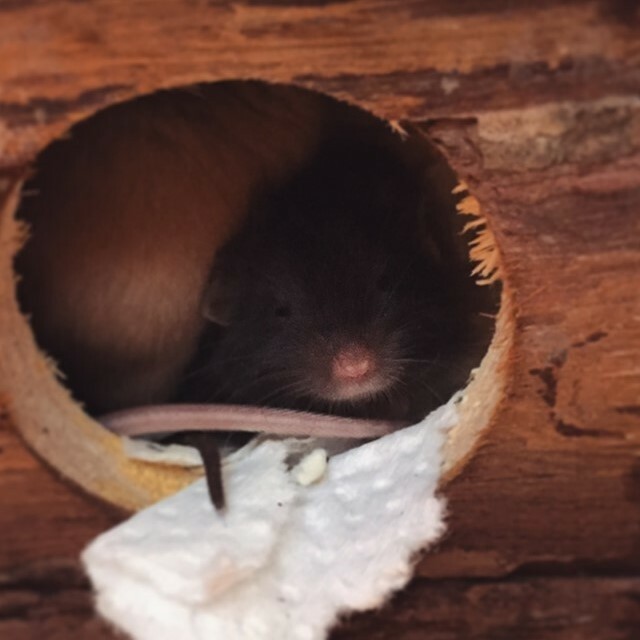 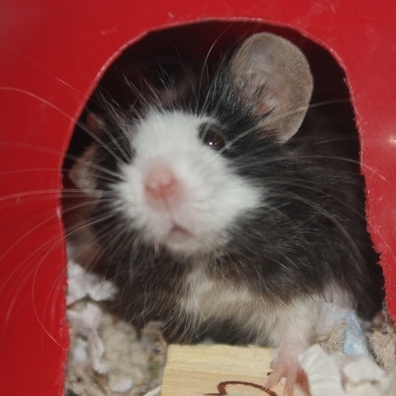 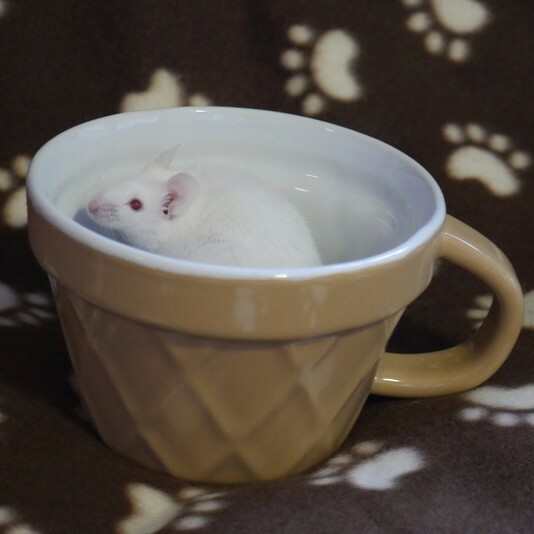 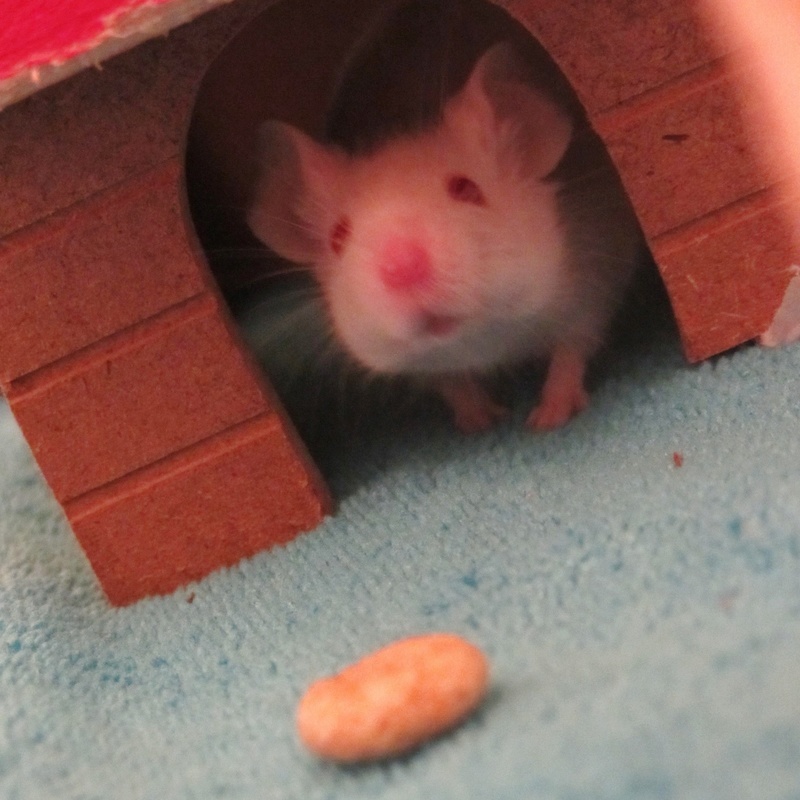 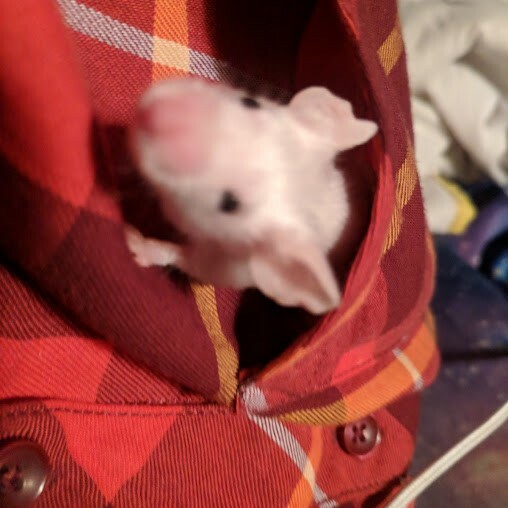 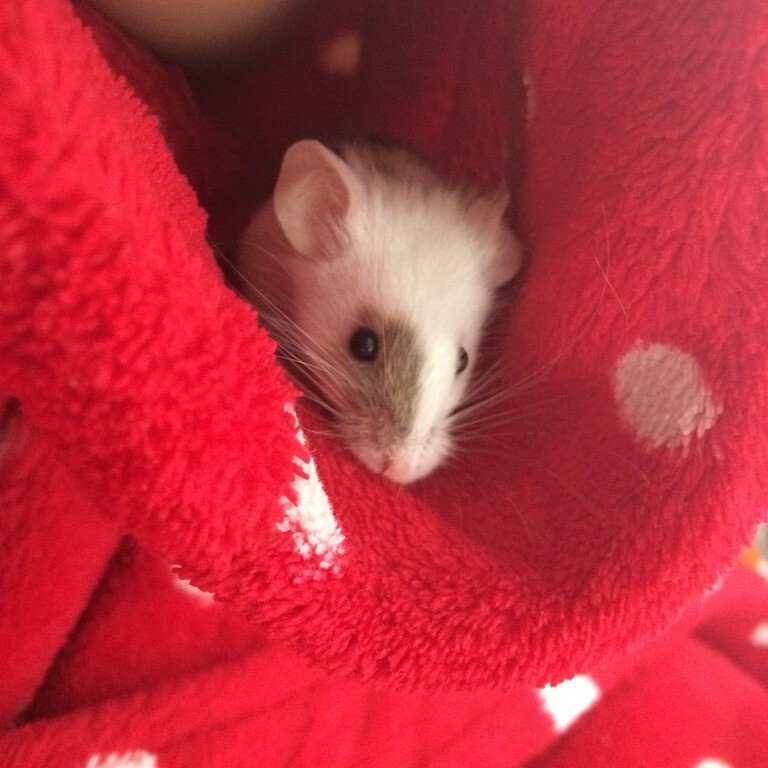 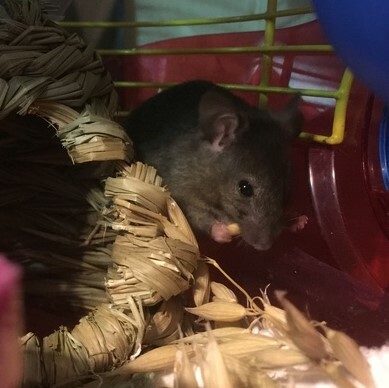 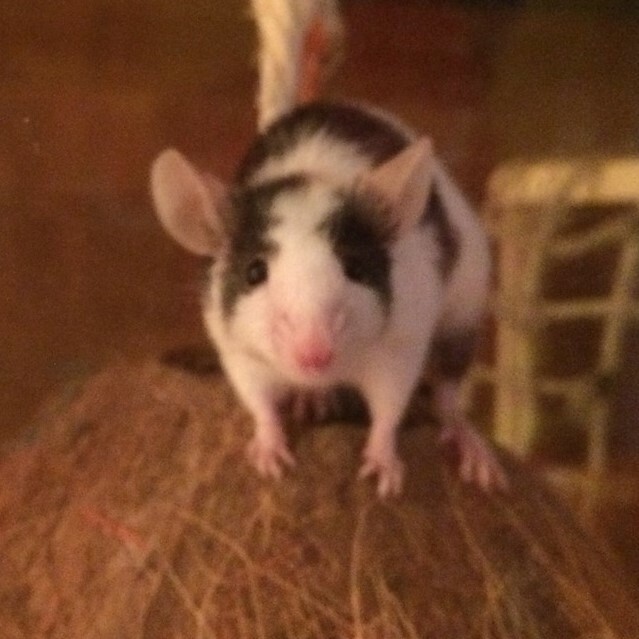 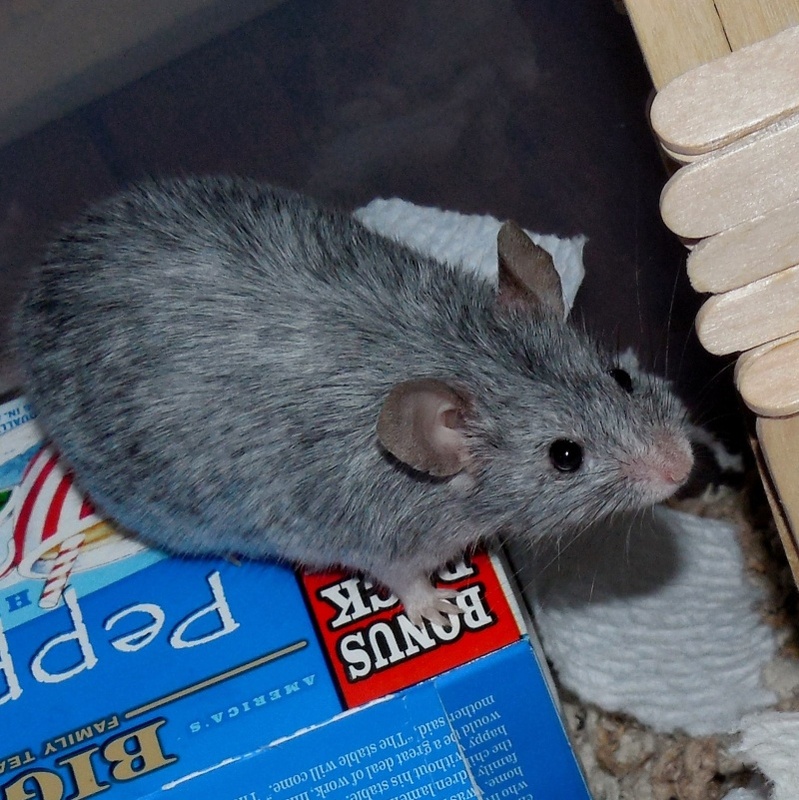 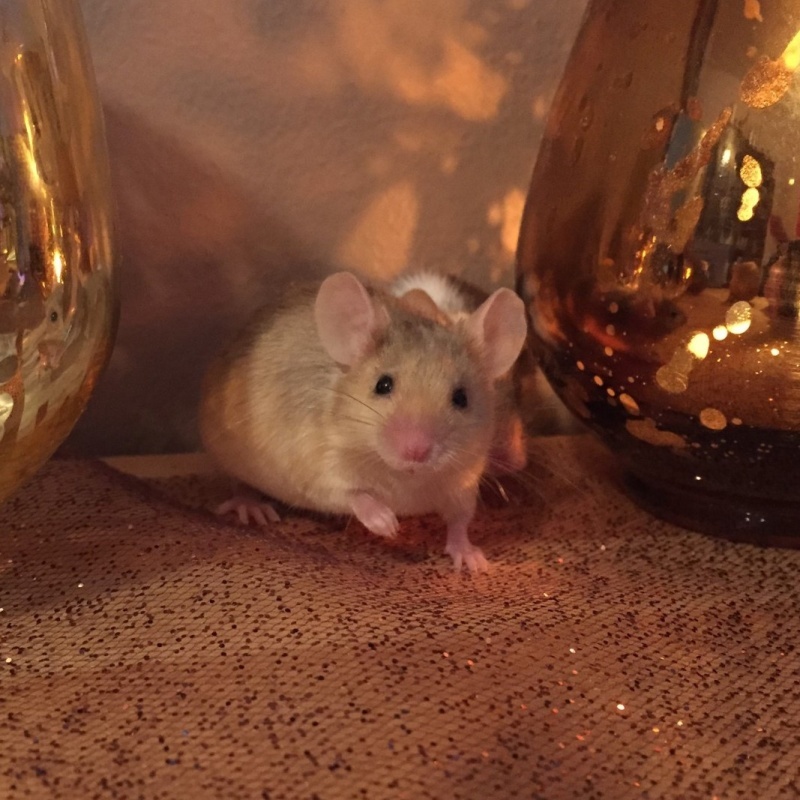 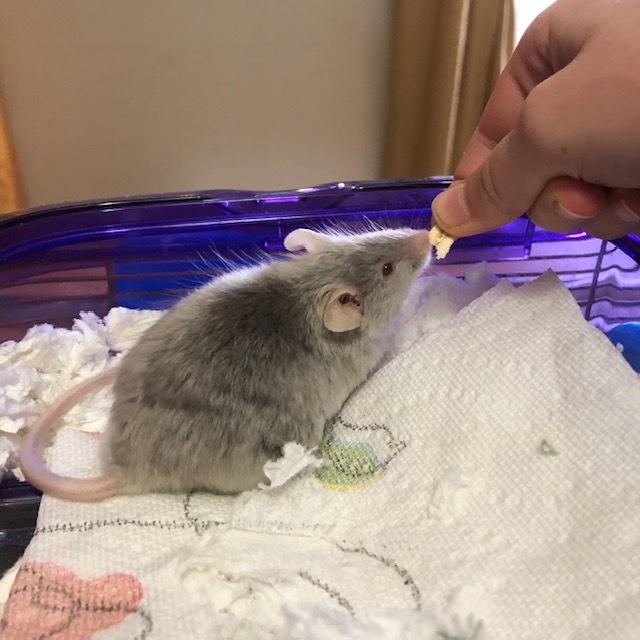 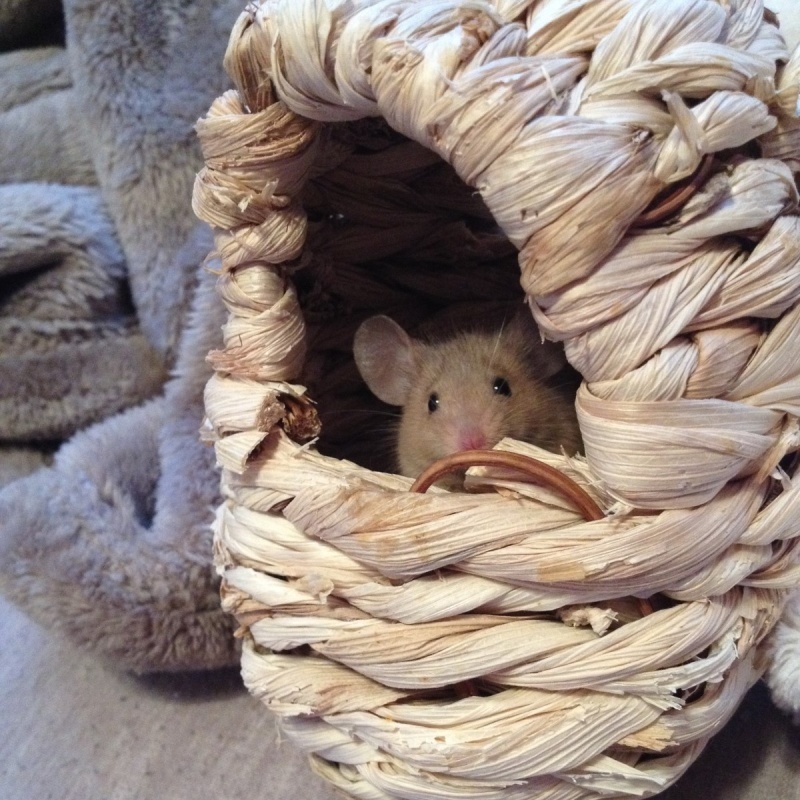 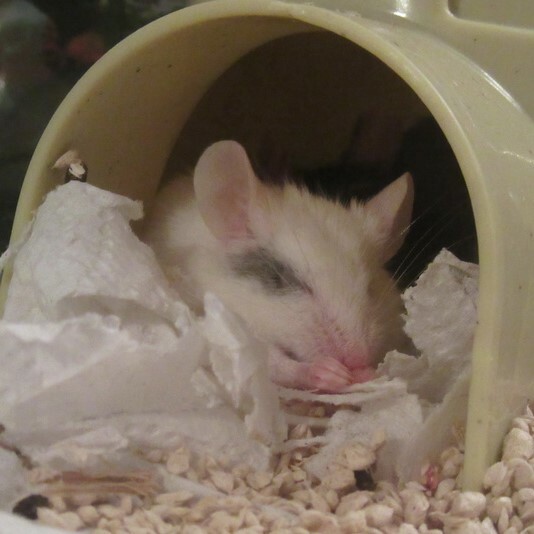 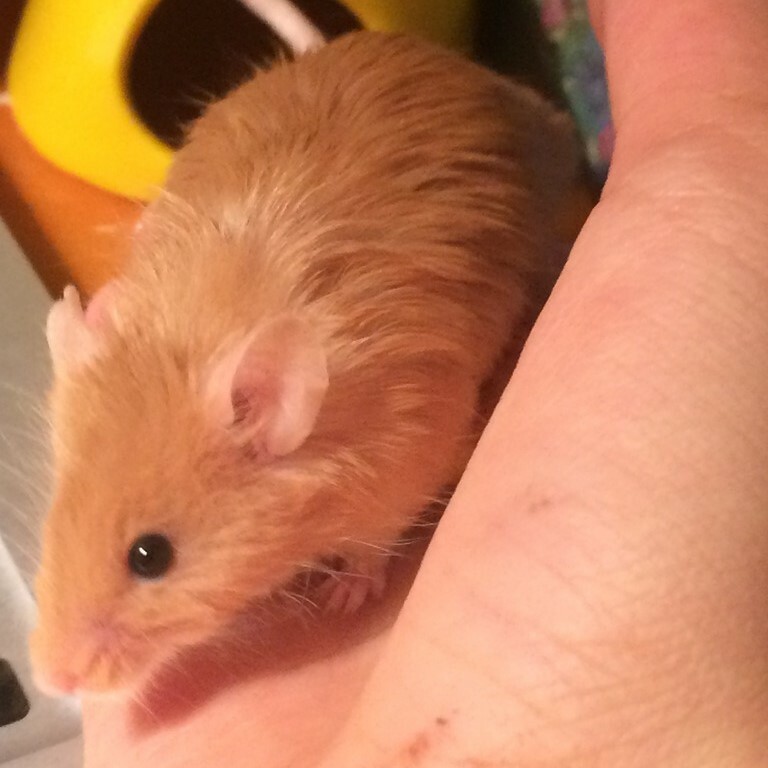 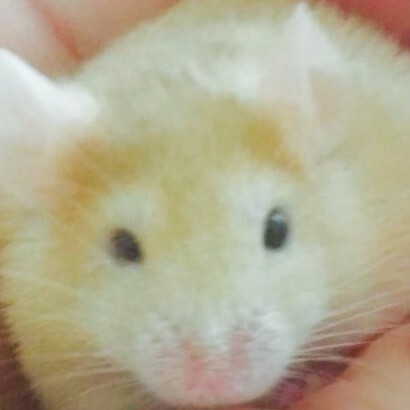 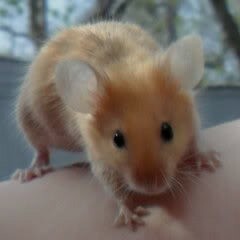 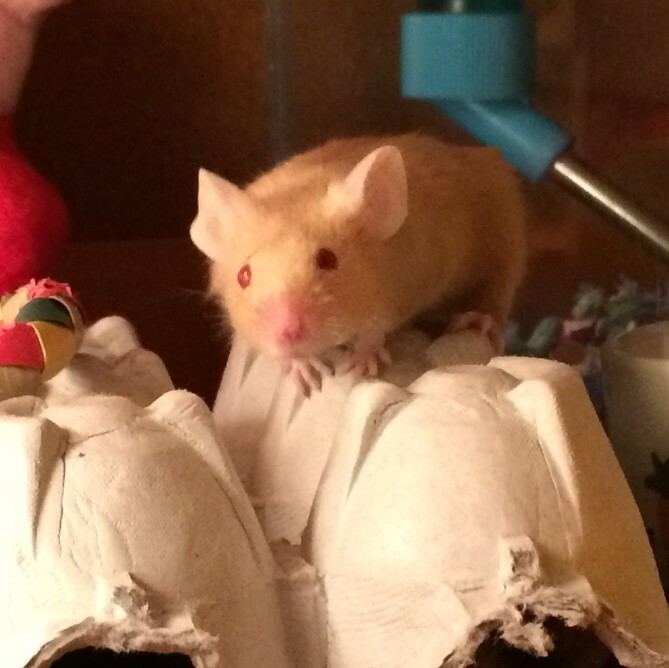 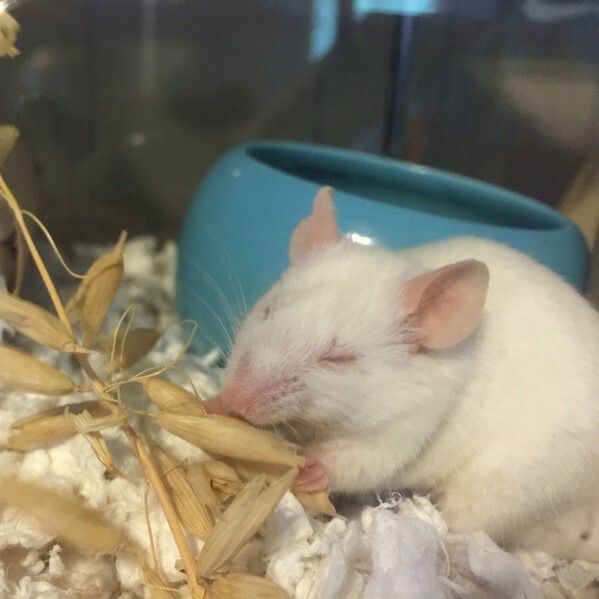 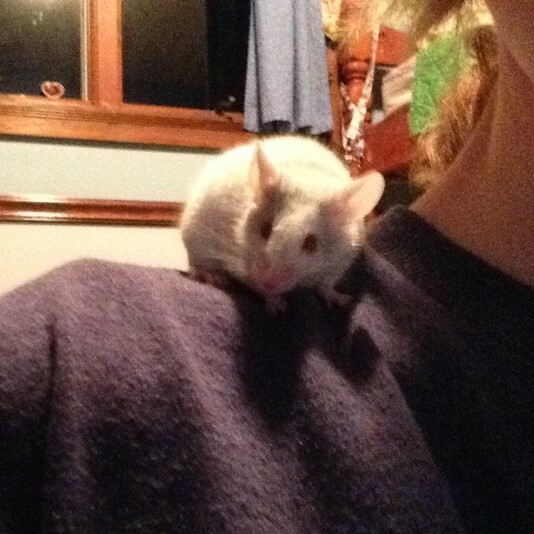 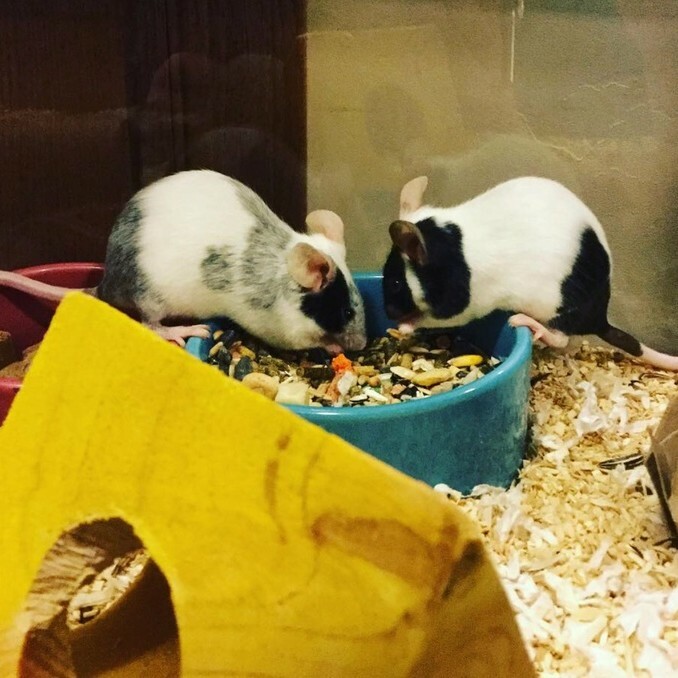 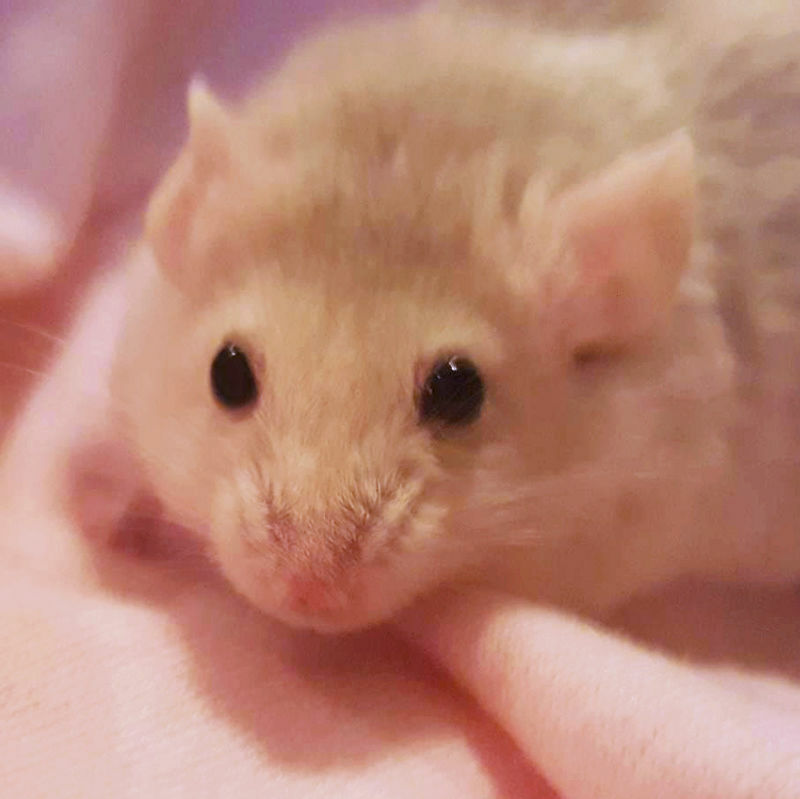 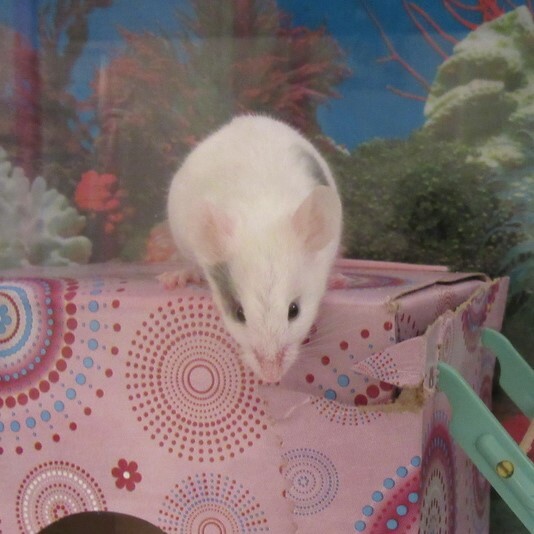 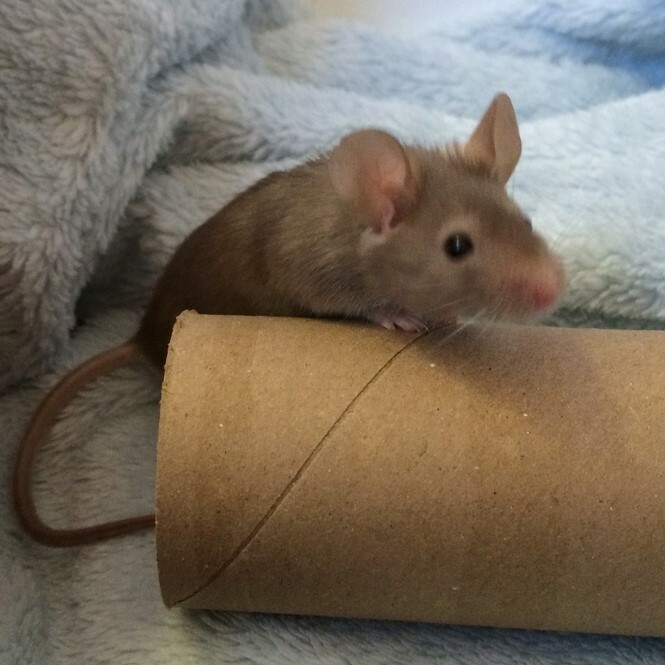 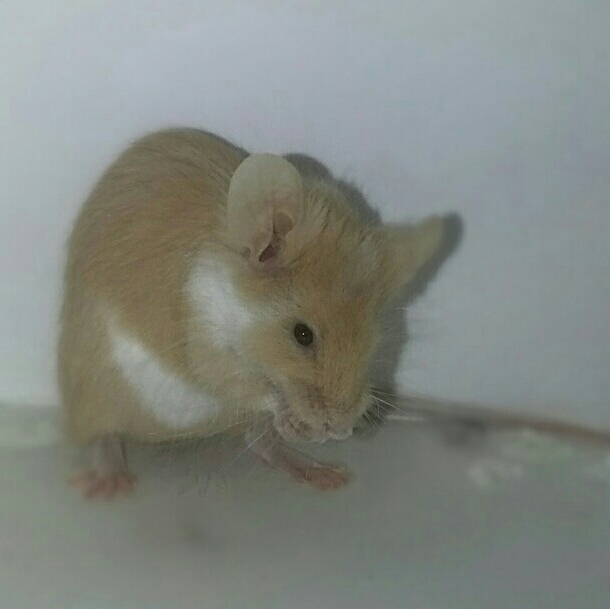 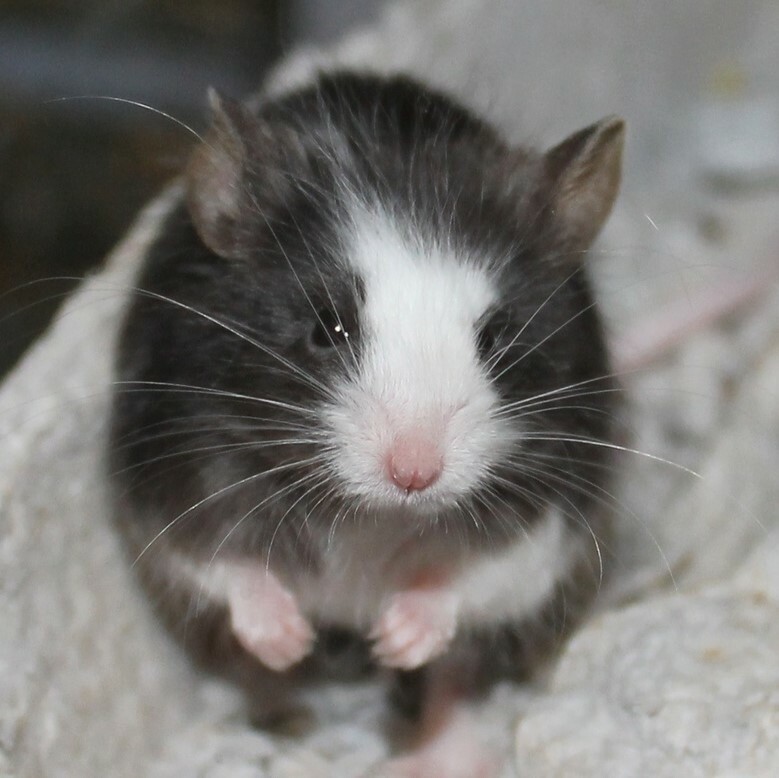 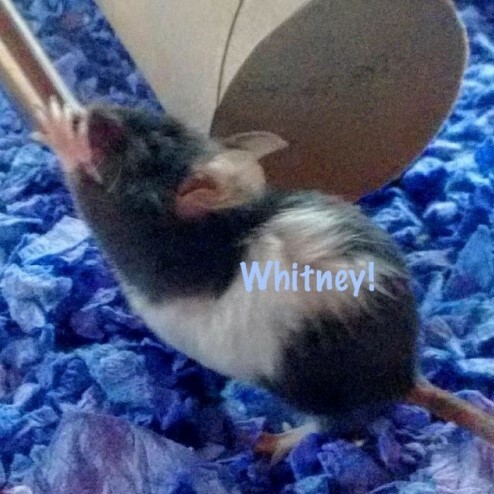 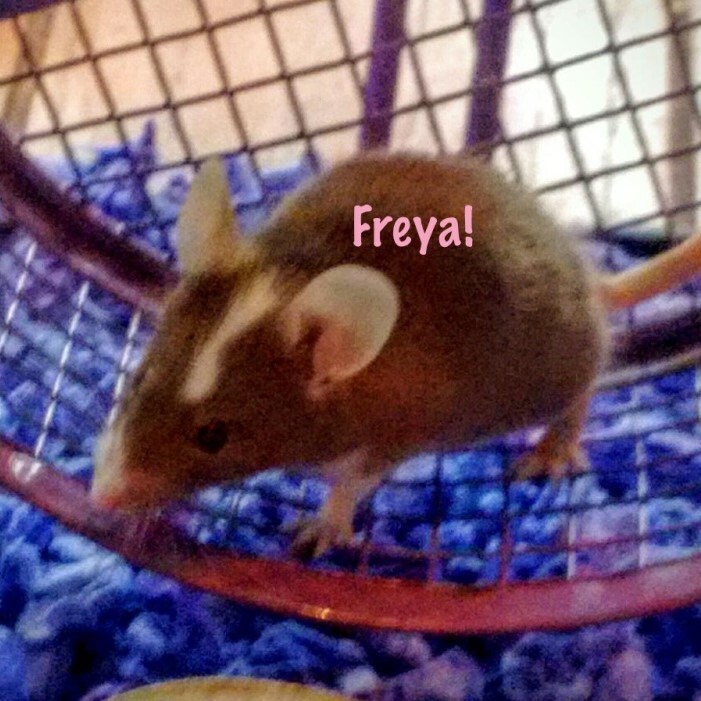 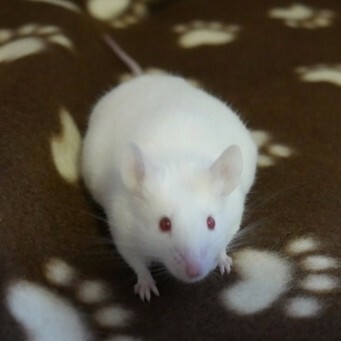 I have a single female mouse (her partner passed recently) and i’m trying to adopt two females to keep her company. 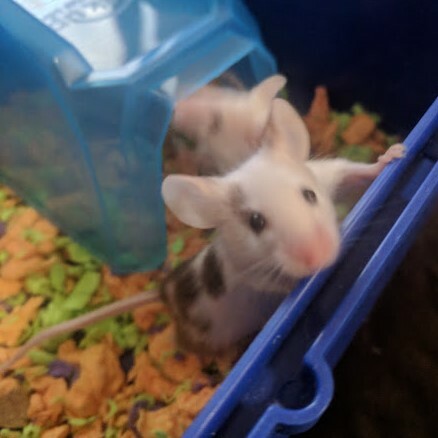 I went through a rescue in a nearby city, and they refuse to let me adopt the females without the males they’re housed with. 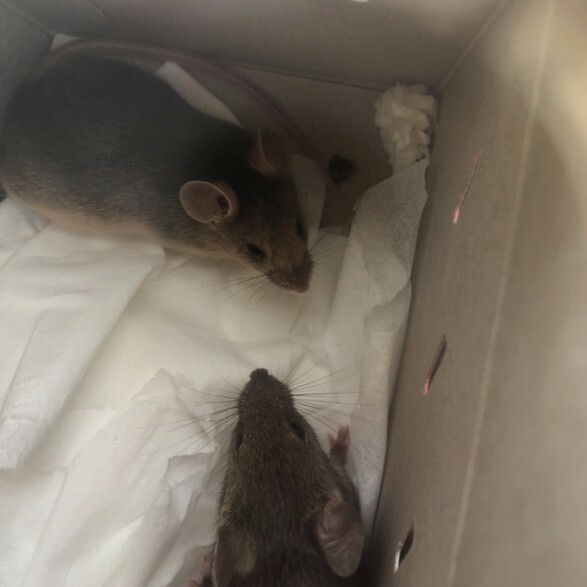 They have them in two male-female pairs, in one pair the male is neutered, in the other pair the female is supposedly spayed. 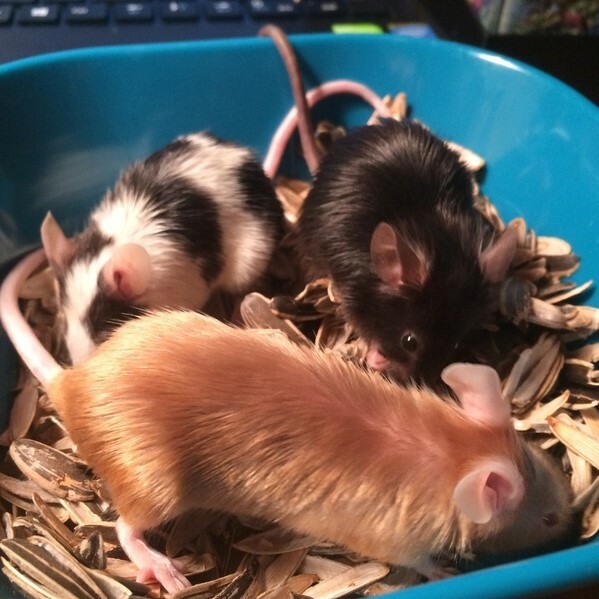 Im completely okay with adopting them all, but since the whole purpose is to give my lonely female a community, i want to house the females together (possibly with the neutered male) and keep the intact male alone, but the rescue says they wont let me adopt them if i want to do this. 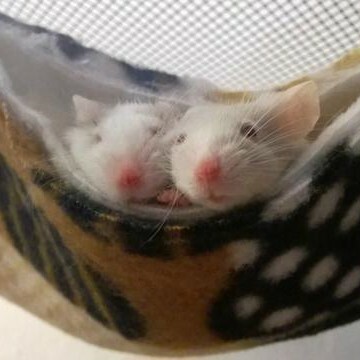 Is it really necessary to keep them in pairs? 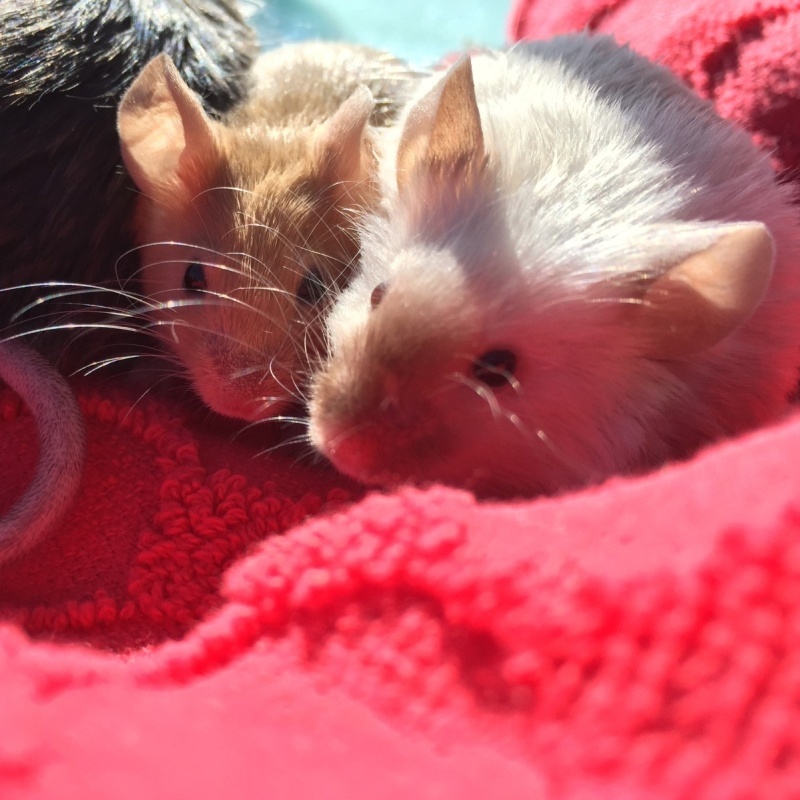 They were only introduced at the shelter about two weeks ago, they are not bonded pairs. 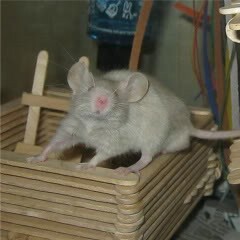 Does the intact male really need to live with a female? 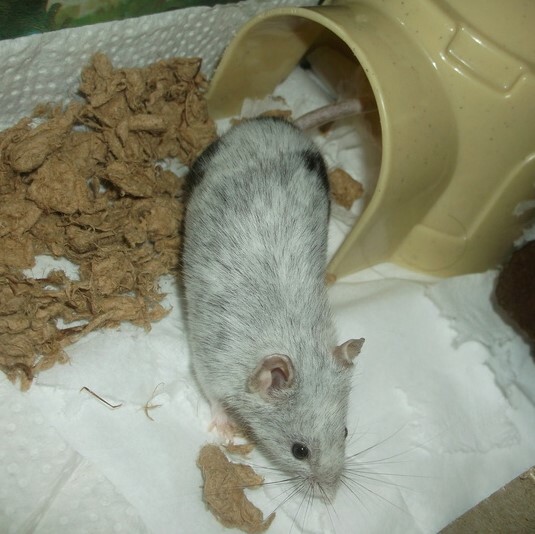 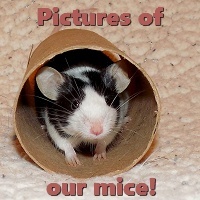 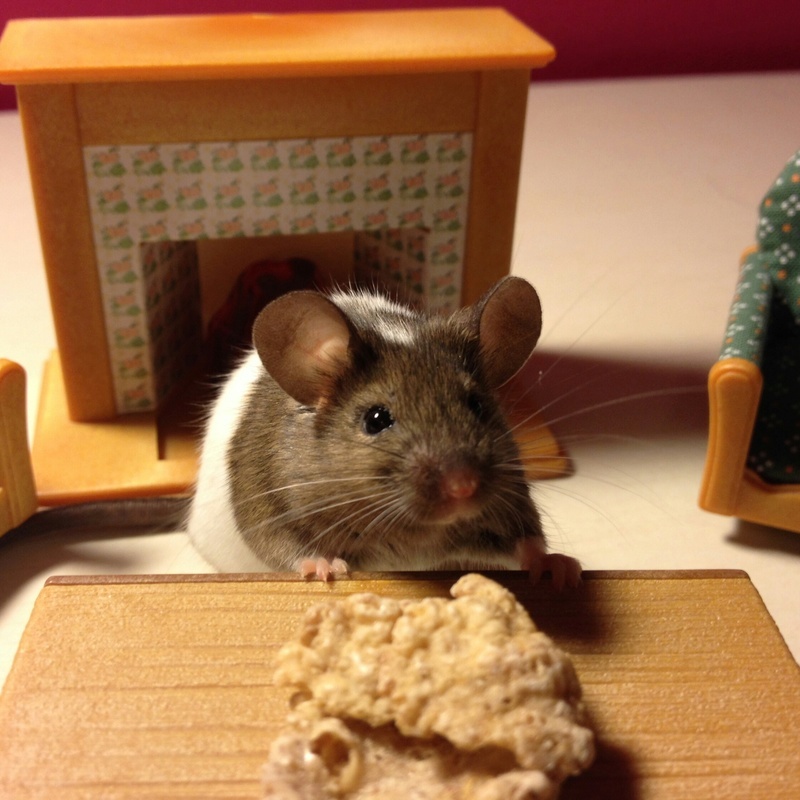 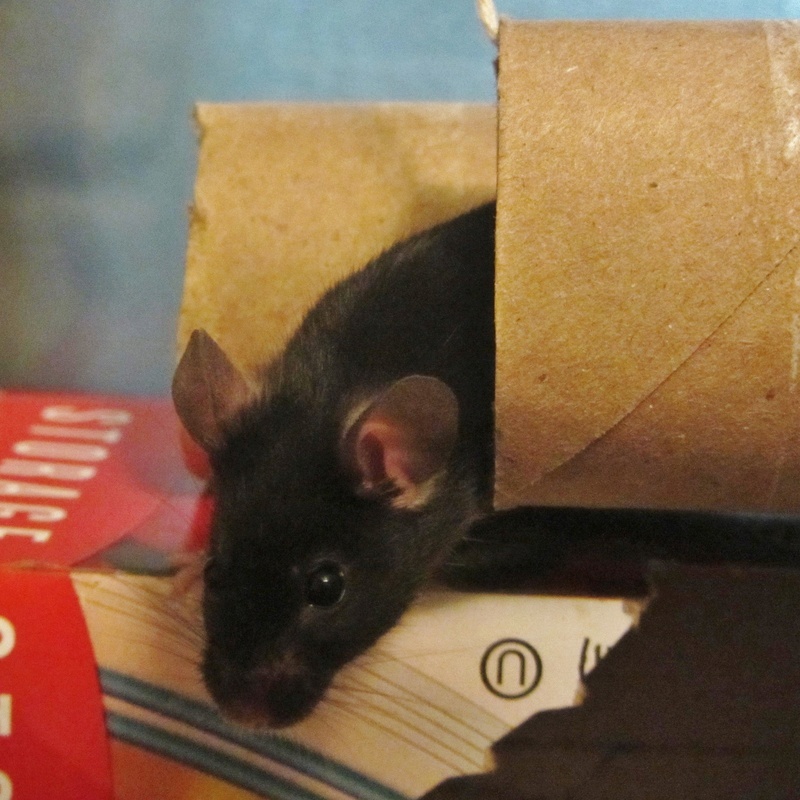 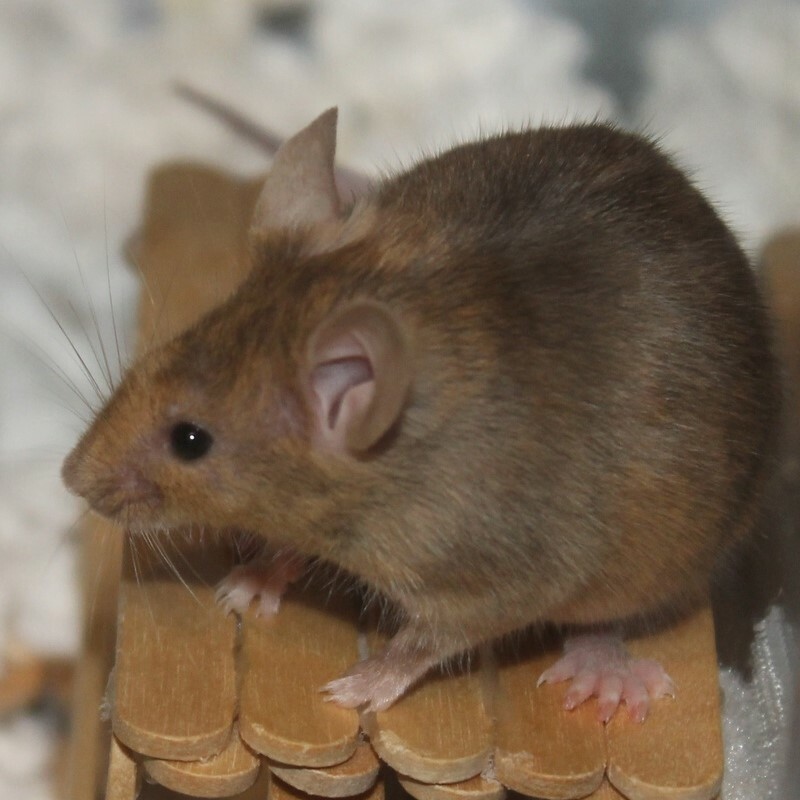 I have had male mice housed alone and they seemed perfectly happy and playful. 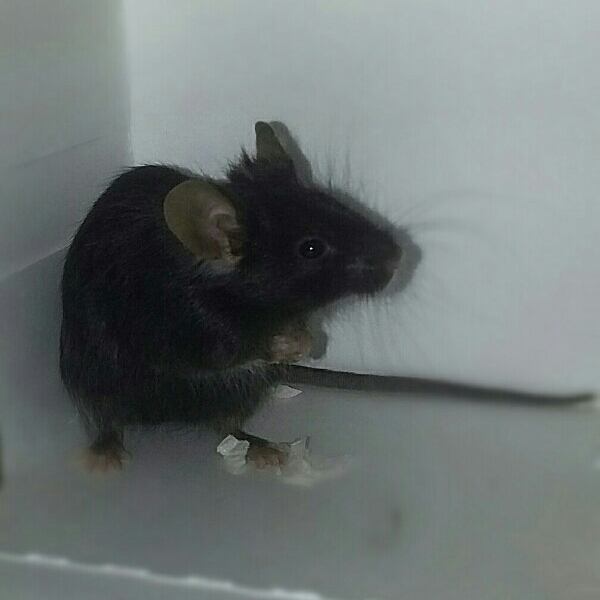 Im worried the “spayed” female is not spayed, and since i cant confirm it i really dont want to risk a pregnancy. 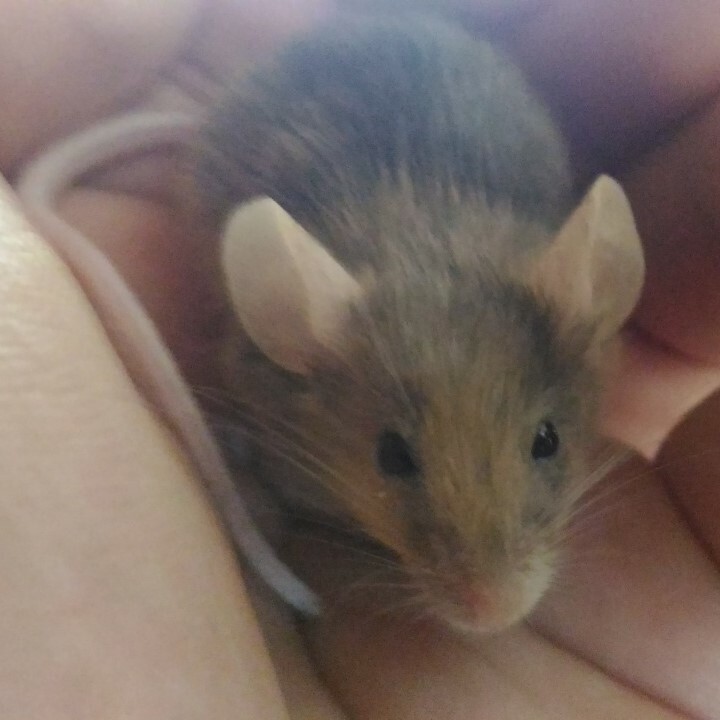 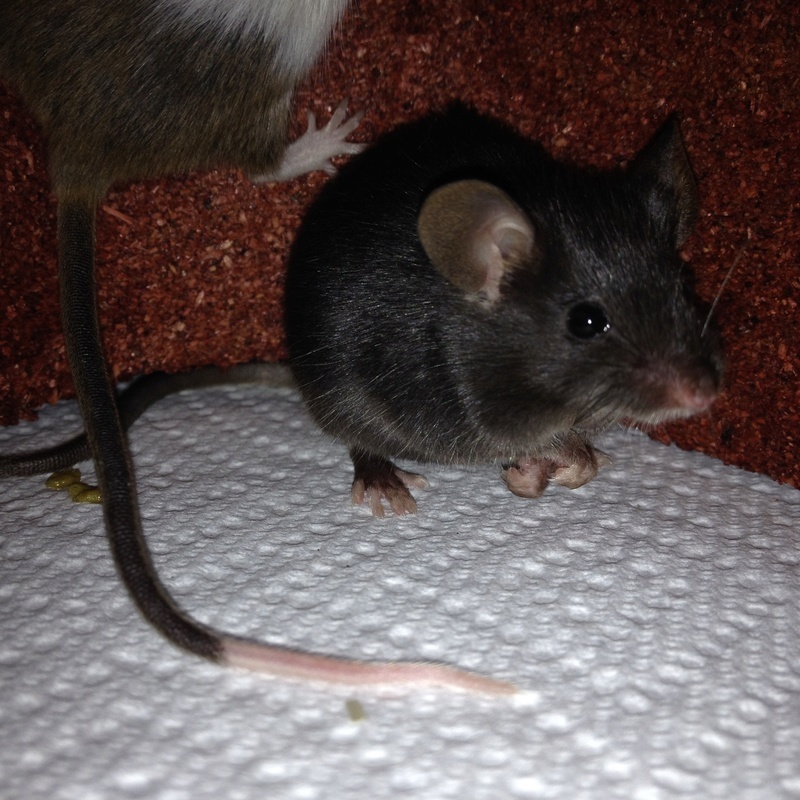 Re: Rescue says i have to house male mouse with females? 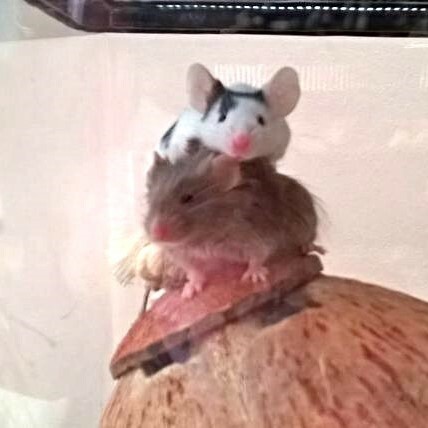 No, I don’t see why the intact male needs to be with the female... this is incredibly odd if you ask me. 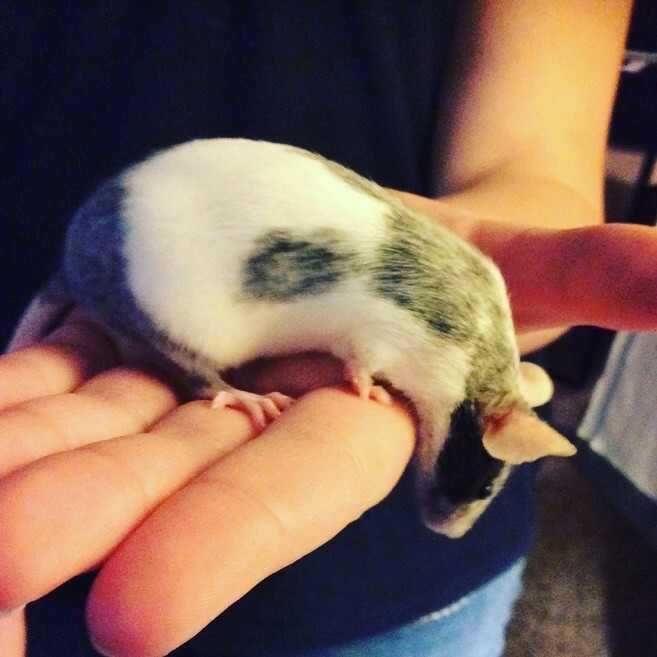 I didn’t even think spaying a female mouse was an option, unless maybe they got an infection like pyrometra that requires it (and I don’t think that’s very common in mice). 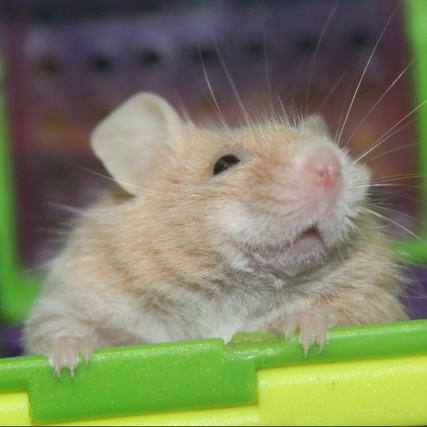 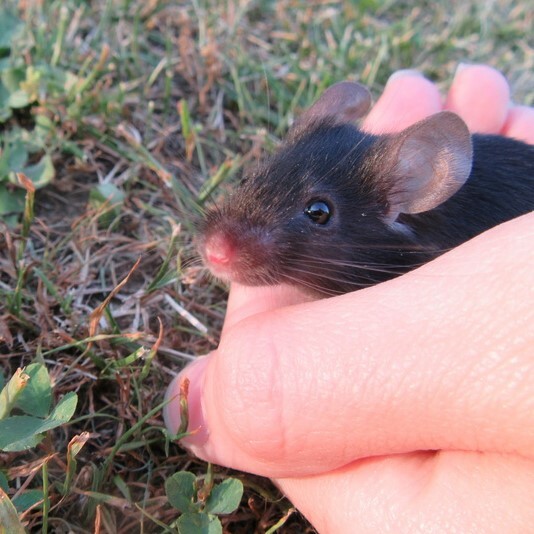 A male mouse can live alone as long as they have a lot of attention given to them. 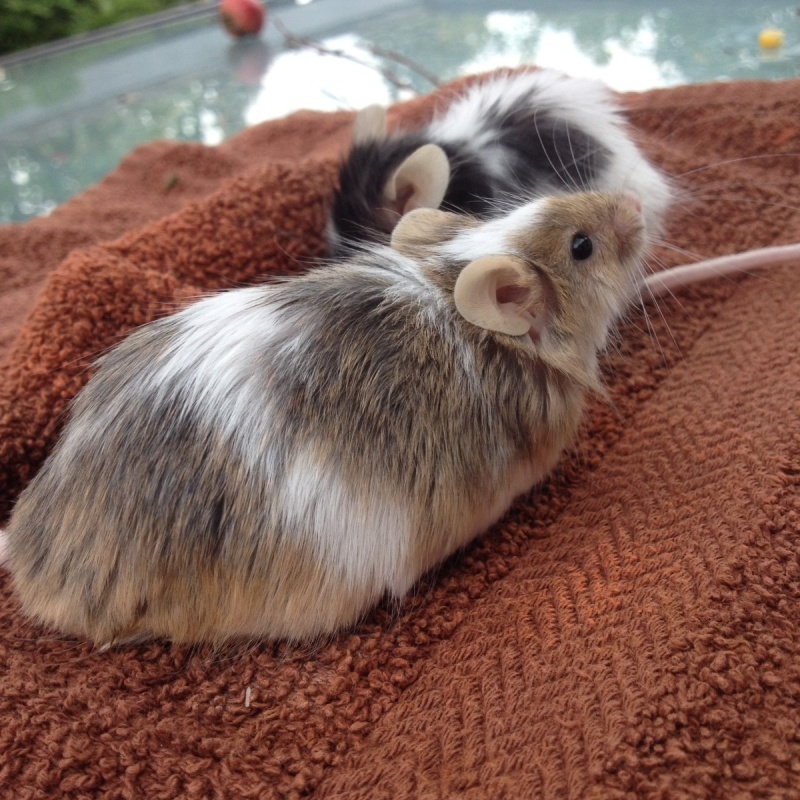 And furthermore, if you were to put them all together, even if you neutered the male, I wouldn’t trust two neutered males together anyway (maybe it would be okay with careful observation, I’m not sure... just seems a little risky). 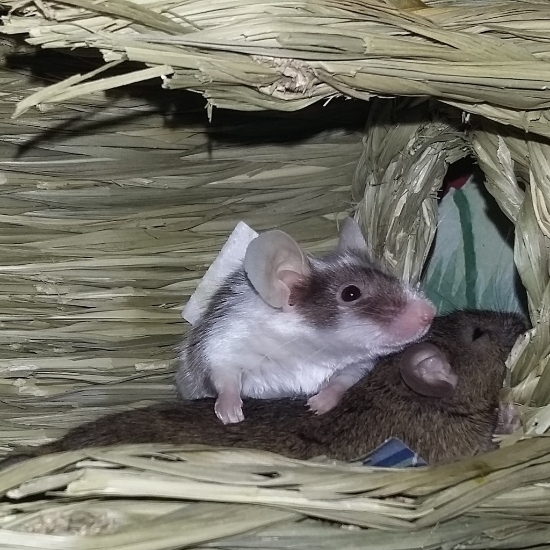 Now a neutered male with a group of females, on the other hand, will likely be very happy... but yeah, it’s not required that a male mouse be housed with females... not sure where the rescue gets that idea from. 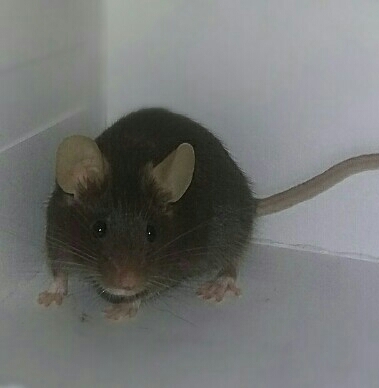 I can only speak from personal experiences but, I have a male moused that had been house for 2-3 (or more) weeks with two female mice. 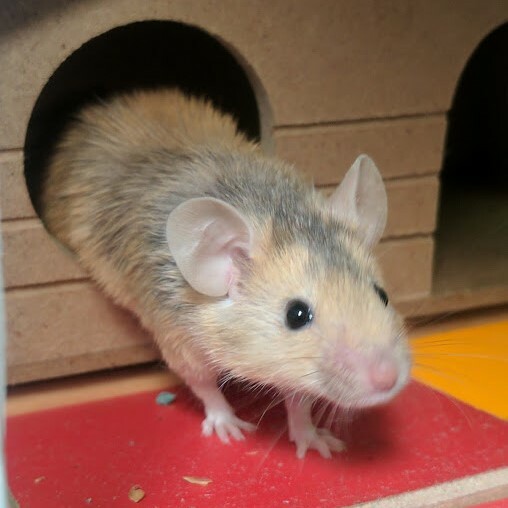 (The pet store thought he was a female) and when we found out he was a male we separated him from the other two in his own cage. 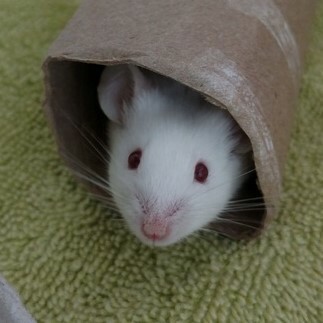 He was confused for a day or two...but was completely happy being on his own and still is. 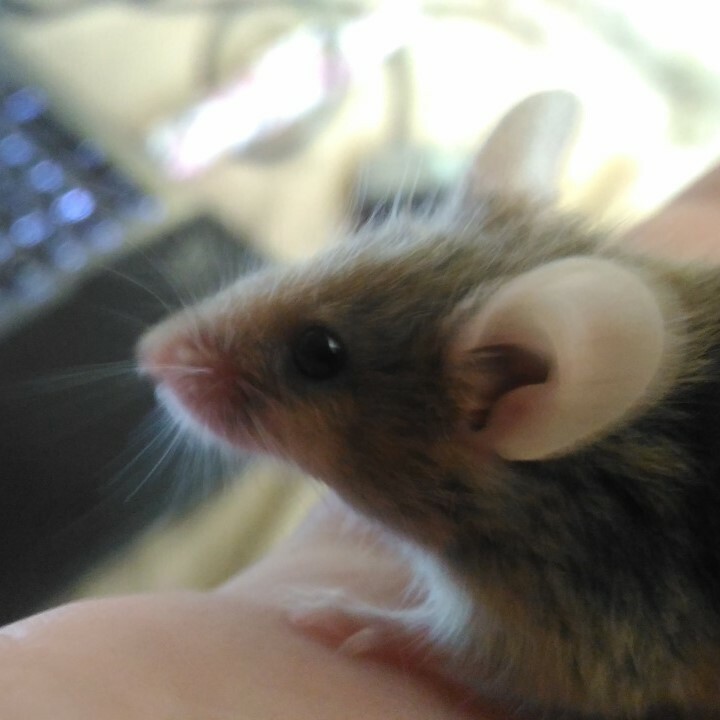 I have seen no signs of depression. 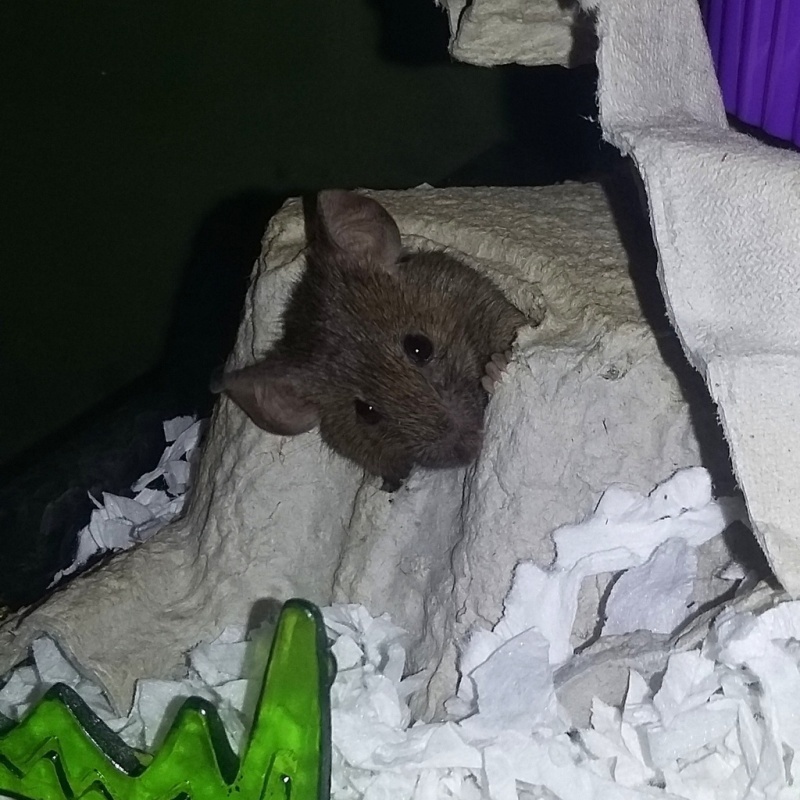 He seems happier to have all the space to himself. 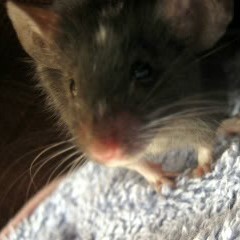 We are also spending lots of time with him. 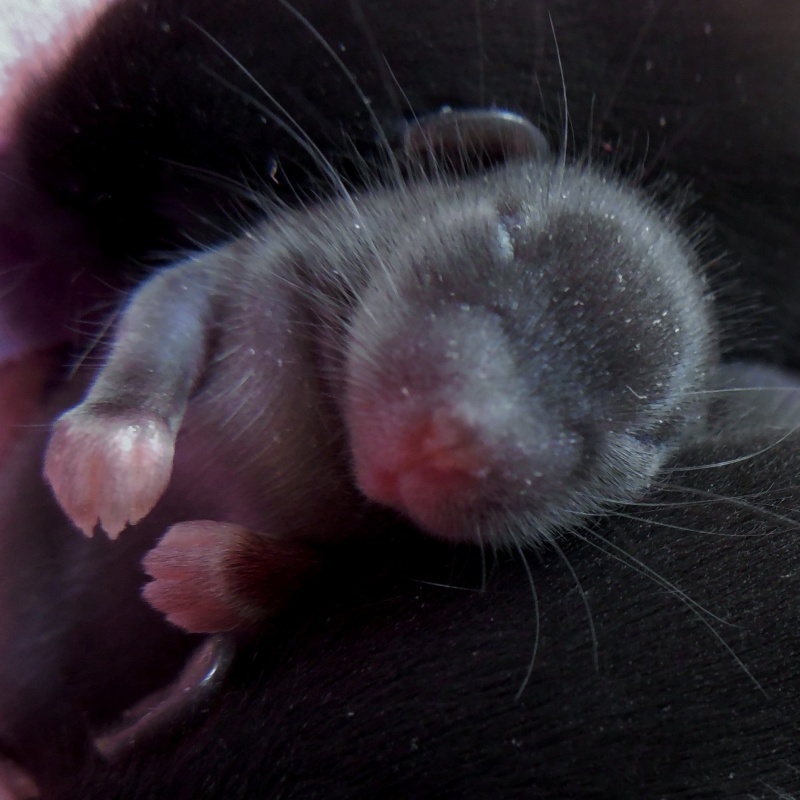 I would adopt them all, then house the neutered buck with the girls and the intact buck on his own. 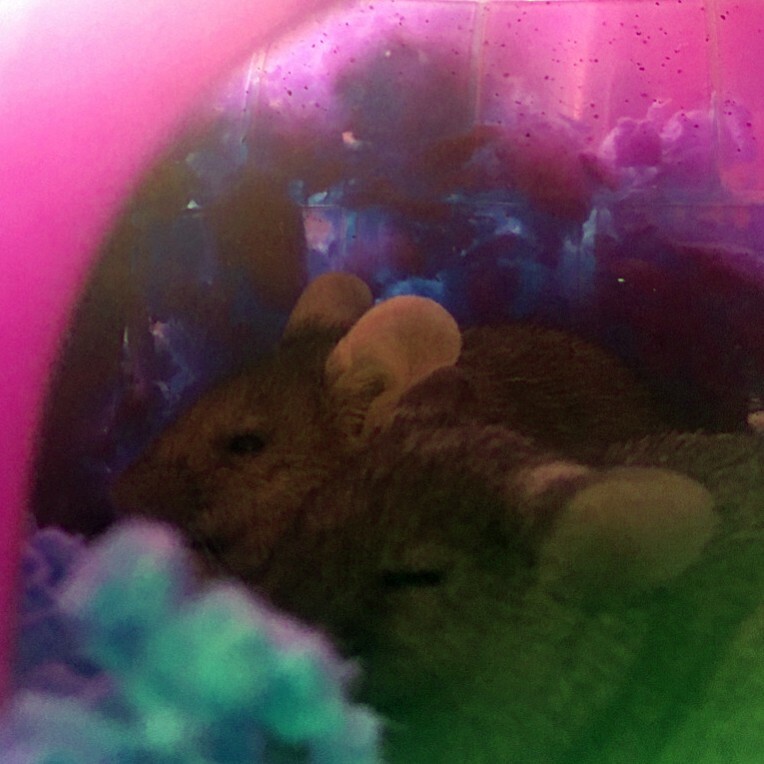 Males, even if both were neutered, more often than not are too territorial to be housed together. 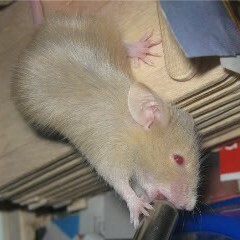 But one neutered boy with a group of girls can often work. 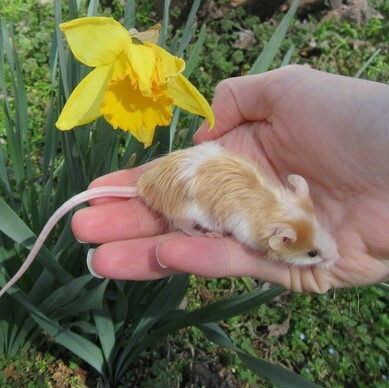 And a male (especially intact) can live a perfectly happy life living on his own provided you give him proper enrichment and plenty of one-on-one time with you.